The month of November is almost complete and with December just hours away players across the globe in Australia are already reporting that Ewok Scout will be Daily Login Character. While a Territory War defensive phase just started and another Territory Battle is just three days away, the Monthly Events Calendar has not yet been made public. November saw the announcement of more Knights of the Old Republic Characters were incoming with Juhani today and Carth Onasi tomorrow, but if indeed Ewok Scout is the login toon this will most certainly lead to speculation of what is to come in December. November – General Kenobi – We saw the addition of more Clone Wars content with Anakin’s Eta-2 Starfighter and an OP Mace Windu in Territory Wars, but not much else. 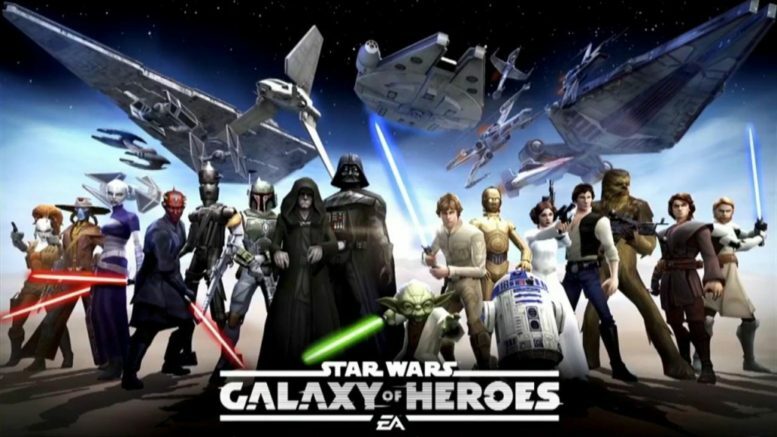 My expectation is this – we will indeed see a C-3PO Legendary Event in SWGoH in December before 2019 brings us more Clone Wars content as we prepare for the launch of Disney’s new streaming service, which will be the home of the resurrected Clone Wars episodes. Meanwhile, I still remain hopeful for a new version of Territory Battles early in 2019, likely a Light Side version first followed by the Dark Side, just as they were rolled out in 2017. Meanwhile, looking at the December SWGoH Calendar, all we know at this time are the current Territory War, the upcoming Territory Battle and the two character events at this time. Be the first to comment on "SWGoH: Ewok Scout Expected to be December’s Daily Login Character"